Buch MH, Erhayiem B, Fent G, Baxter P, Hensor EMA, McDiarmid A, Swoboda P, Kidambi A, Ripley D, Garg P, Horton S, Dumitru RB, Naraghi K, Greenwood J, Emery P, Pavitt S, Plein S. Treatment-Naïve, Early Rheumatoid Arthritis Patients Demonstrate Reversible Abnormalities of Vascular Function on Cardiac MRI with RA Therapy with Preliminary Suggestion of Greater Improvement with Anti-TNF Compared to MTX/Conventional Therapy – a First, RCT Derived Longitudinal Study [abstract]. Arthritis Rheumatol. 2018; 70 (suppl 10). 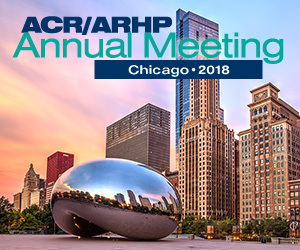 https://acrabstracts.org/abstract/treatment-naive-early-rheumatoid-arthritis-patients-demonstrate-reversible-abnormalities-of-vascular-function-on-cardiac-mri-with-ra-therapy-with-preliminary-suggestion-of-greater-improvement-with-an/. Accessed April 20, 2019.